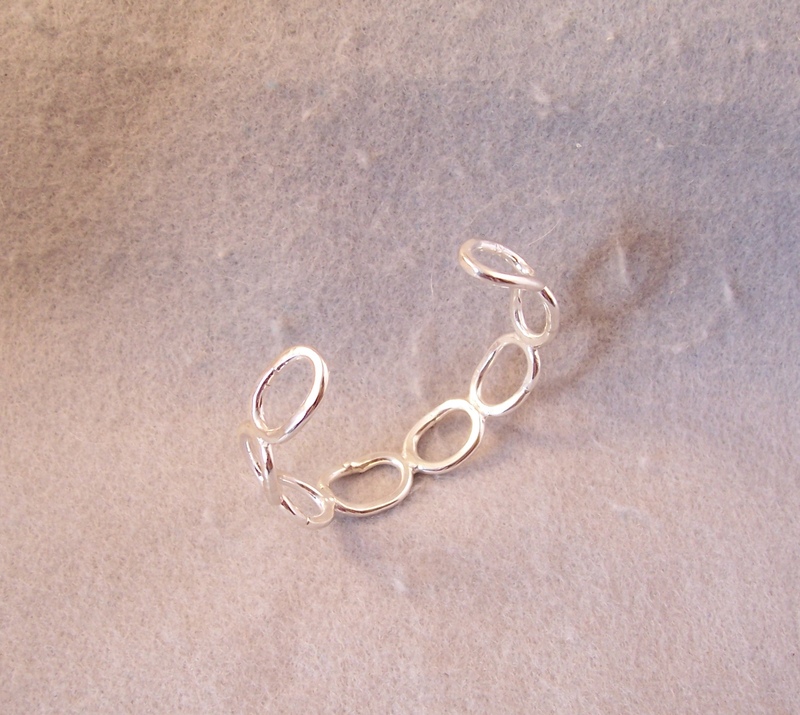 A series of ovals lined up and joined force for this unique cuff bracelet. 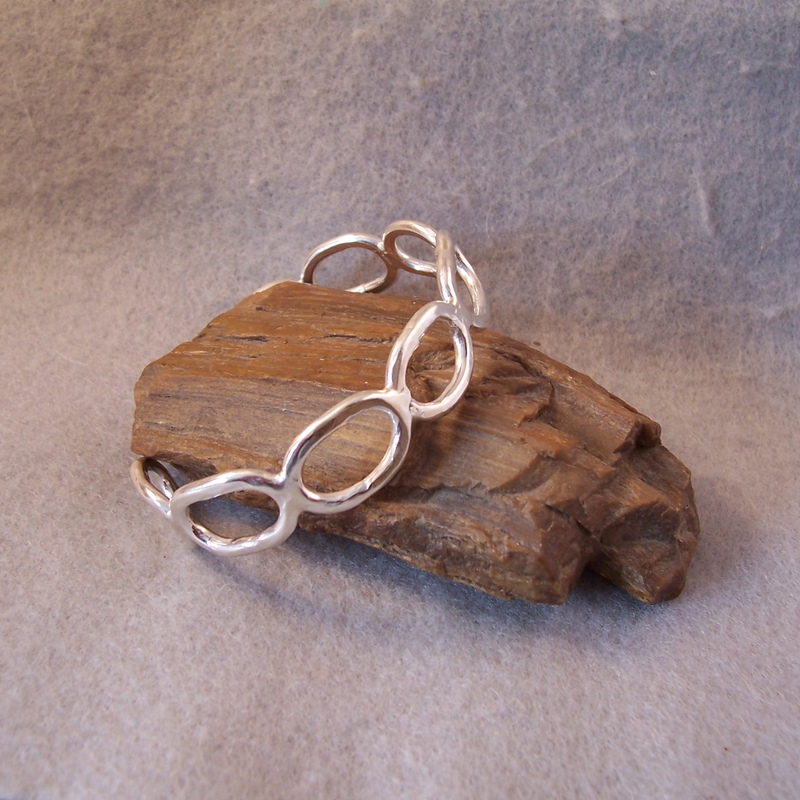 I created them using 10 ga. sterling wire which was then soldered to form this heavy duty yet open and airy cuff. I believe this will be a daily wear comfortable item. Inside diameter 2 1/4" by 2"